V. I. Ulyanov among the members of the Petersburg "League of Struggle for the Emancipation of the Working Class". In group from left to right: standing — A.L. Malchenko, P. K. Zaporozhets, A. 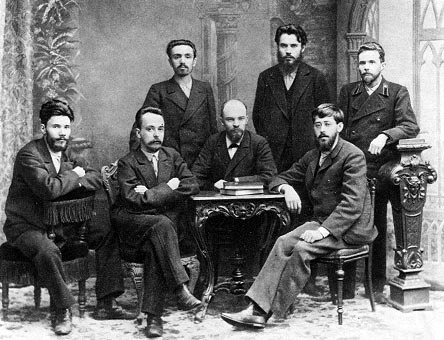 A. Vaneyev; sitting — V. V. Starkov, G. M. Krzhizhanovsky, V. I. Ulyanov, Y. O. Martov - Tsederbaum. Not earlier than December 9 (21) and no later than December 20 (January 1 1896).